Happy Anniversary my darling Bobby! Marrying you 35 years ago was one of the best things I have ever done. You are the love of my life and my best friend. I hope we have at least another 35 years together to make more sweet memories! I love you SOOOOOOOOO! I think this year we will have a cozy, romantic dinner together and celebrate more on the weekend! All I can say about today is Y U M!!!!! And thanks Picture The Recipe! 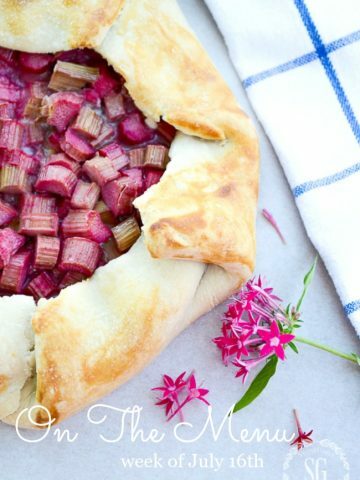 I’ve made this recipe several times and we LOVE it! It is truly scrumptious!!!! If you have not tried it yet… you should! 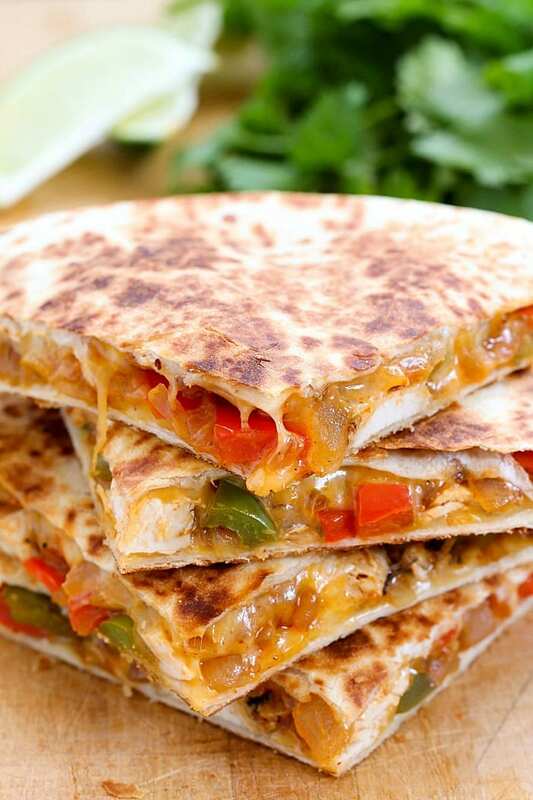 My Tex-Mex fix this week is quesadillas! 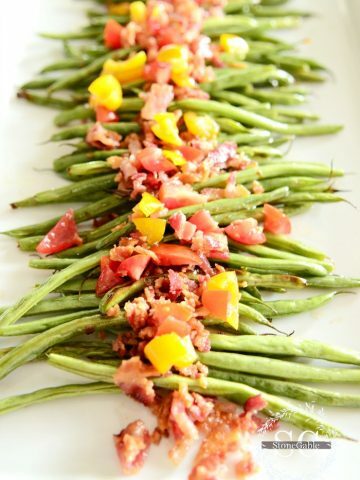 Such an easy, yummy and good for you recipe! I have not made soup for a few weeks and really miss the smell of divine soup cooking on my cooktop. I’m doubling the recipe and freezing some for lunches! 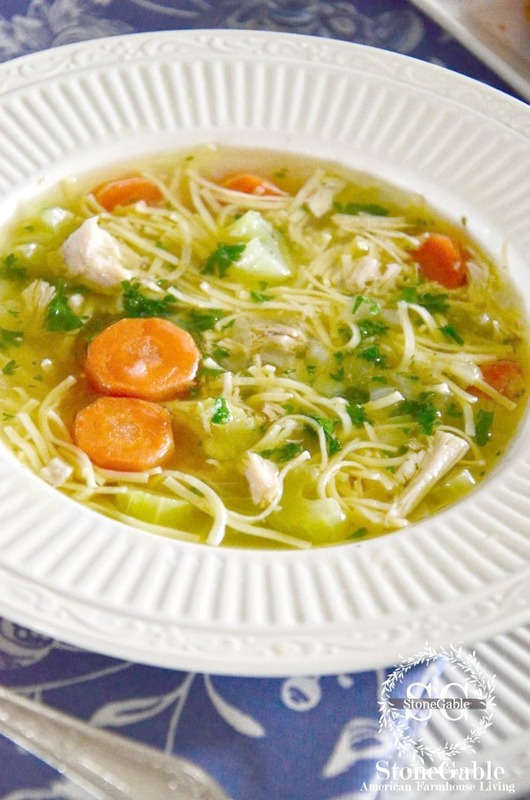 This is absolutely the best chicken noodle soup. And there are a few secrets that I share about making this soup AMAZING! 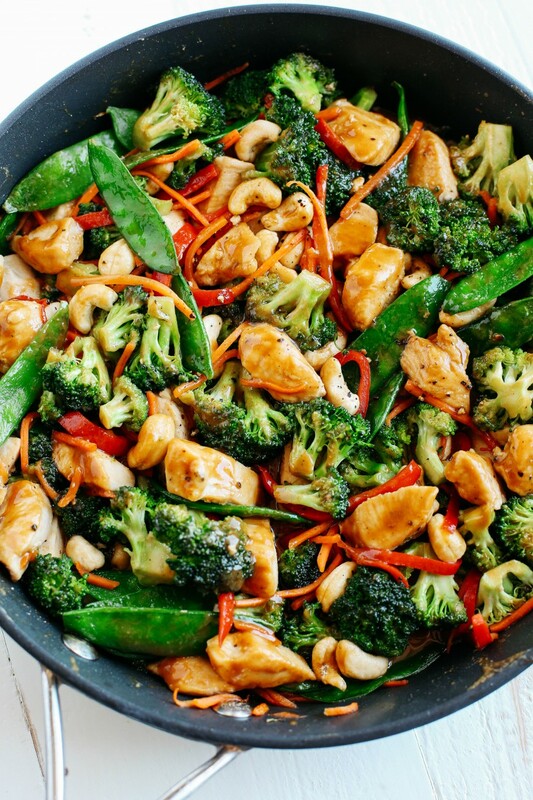 When I do Chinese take-out it’s Cashew Chicken. But today I’m making my own in ONE skillet version! Easy cleanup and a great meal. I’ll be substituting the pea pods for lots of celery. I was raised on salmon cakes. Back in the day, my Mom used canned salmon and no veggies. But today I’m using lots of gorgeous fresh salmon and onions and red peppers. I’m sooooo excited for these delicious bites! I picked this dessert because it is so darn beautiful!!!!! And doesn’t vanilla bean cream sound heavenly? Happy Anniversary! Yvonne and Bobby! May you be blessed with many more wonderful years! God Bless you both! We also love salmon cakes, so I’ll give yours a try. For an easy switch, try using the recipe on the Old Bay can for Crab Cakes, and use 3 cans of tuna (in water, drained), and 2 slices of bread ( crumbed in the food processor). This is a newer family favorite of ours. Thanks for all the great food inspiration. 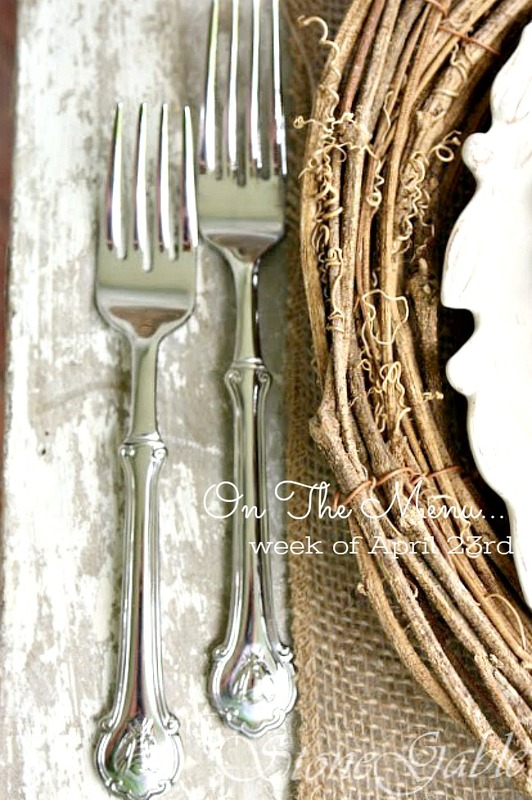 Wondering who the bee silverware is made by, I love it. Do you sell it? Thank you and have a wonderful week. I found this online at Horchow. It’s Napoleon Bee. Great menu!! 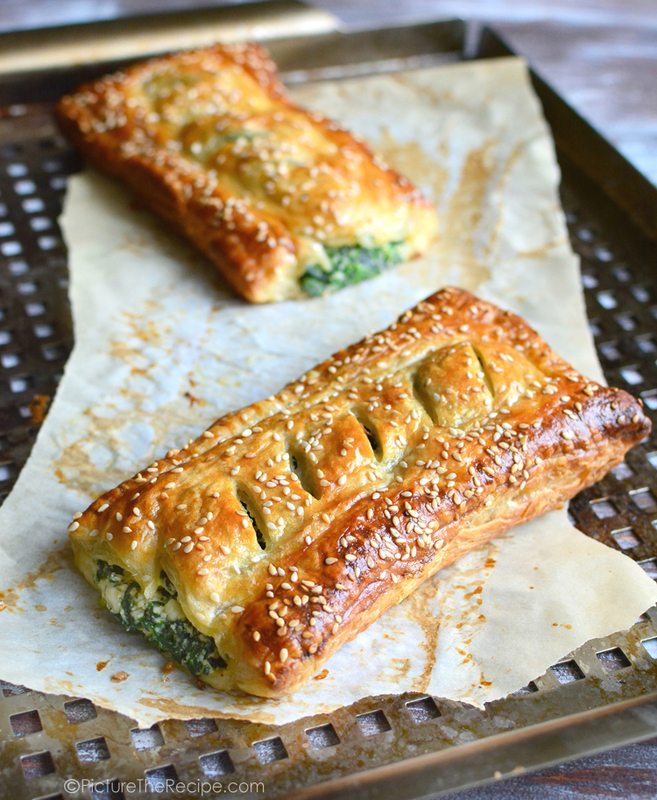 Can’t wait to try spinach puff pastry!! And the salmon cakes. thank you!!! Happy Anniversary Yvonne and Bobby. My husband and I just had our 50th in Feb.and I love to hear about other happy marriages. It takes a lot of work,patience and love but so worth it. I am going to make those yummy salmon cakes and homemade target sauce for tomorrows dinner and serve with fresh spinach from our garden. So healthy maybe I will make those vanilla bean tarts for dessert. Yvonne, Salmon Cakes are a favorite of mine. Daddy use to make Salmon Soup. I can make that too. He and Mama are no longer living but I can make Salmon Cakes. Mama’s specialty was the Salmon Cakes. Oh I think I will have to make some soon. Yvonne, I think I will try the red peppers and onions. 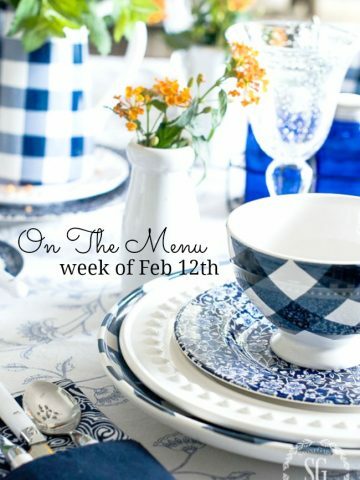 Yummy sounding recipes for the week. Thanks for whetting mt appetite! Happy anniversary! Hope you enjoy the next 35 years as much as the last 35! Oooooh the chicken soup, cashew chicken stir fry, salmon cakes will be on my menu list for this week! And of course the other recipes sound delicious and those tarts!!!! HAPPY ANNIVERSARY YVONNE & BOBBY I’m so happy for you. This weeks menu looks amazing. 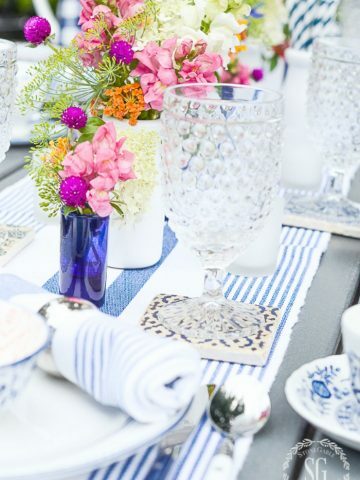 I will definitely be adding these beautiful items to my favorites. Cheers ??? Happy Anniversary! I will be making your spinach pastry rolls this week. Sounds so delicious my mouth is watering. Finally a vegetarian dish. Thanks for something different! Happy Anniversary Yvonne and Bobby ! We just celebrated 45 yrs. last month.Everything looks yummy especially those tarts. Happy Anniversary! And all the recipes sound delish! Happy Anniversary!!! Your anniversary dinner sounds yummy! 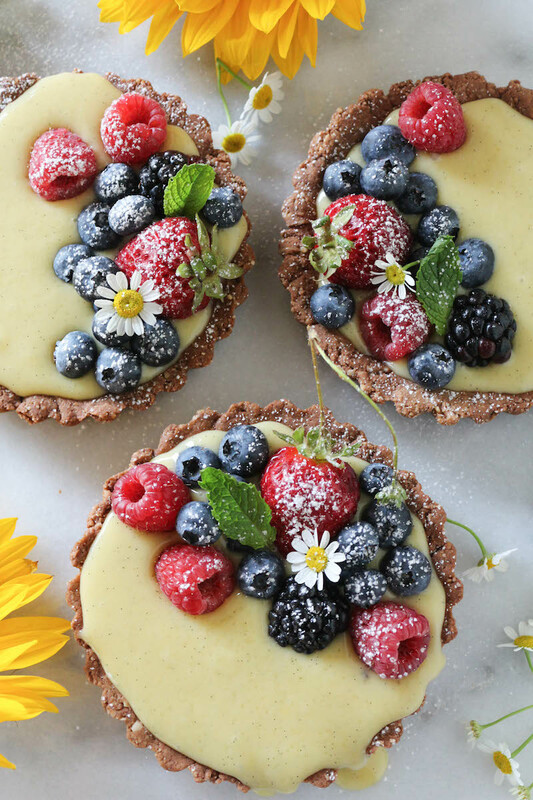 And then there’s those Vanilla Bean Cream Tarts – oh my goodness! Thanks for all the great recipes!!! Happy Aniversary to you! It is our Aniversary too! We have been married 23 years today, the 23rd of April!! Unlike you, I have not planned a romantic dinner…Shame on me. I did bake a pound cake yesterday…does that count? 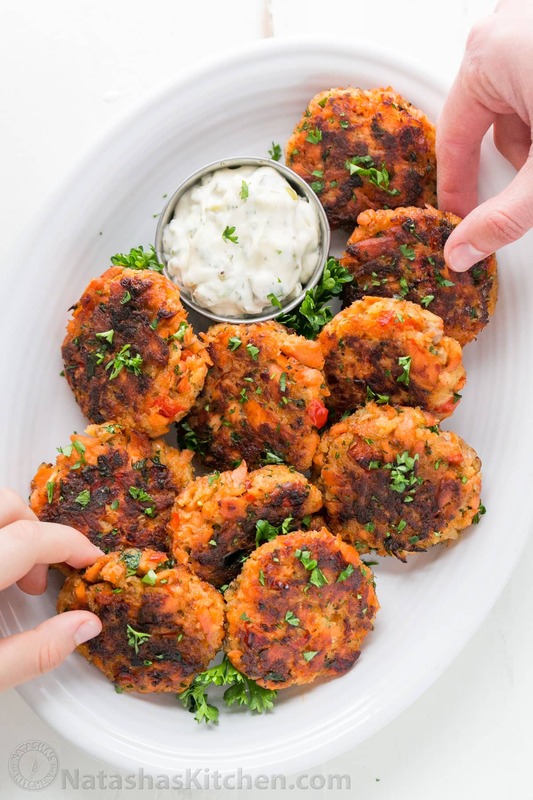 Salmon cakes are my favorite and I can’t wait to try your recipe. I don’t know where you find the time to do everything AND raise fresh garden vegetables., you are amazing. Blessings to you and Bobby for many more wonderful years together. Happy anniversary to you and your husband. You make a great team. Love your menus and have tried many. Thanks again Yvonne for some great ideas! 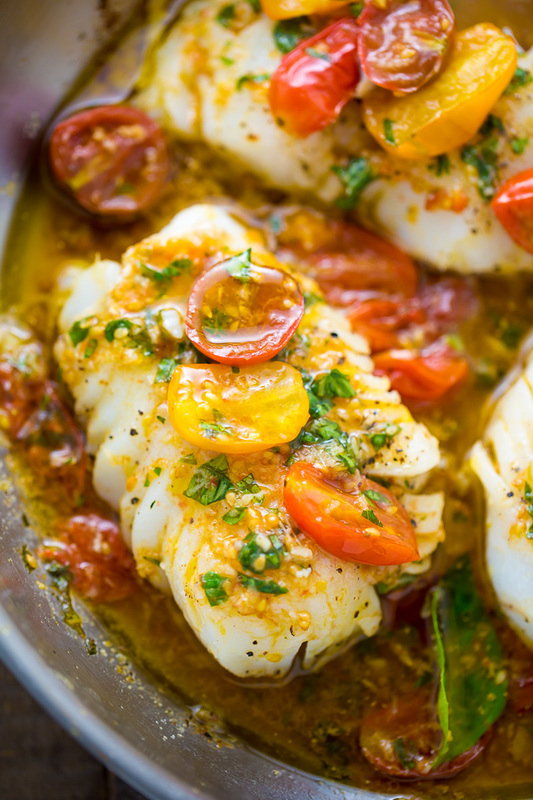 I am going to try the cod tomorrow evening! I’m headed to the freezer to pull out two ribeyes for dinner right now. 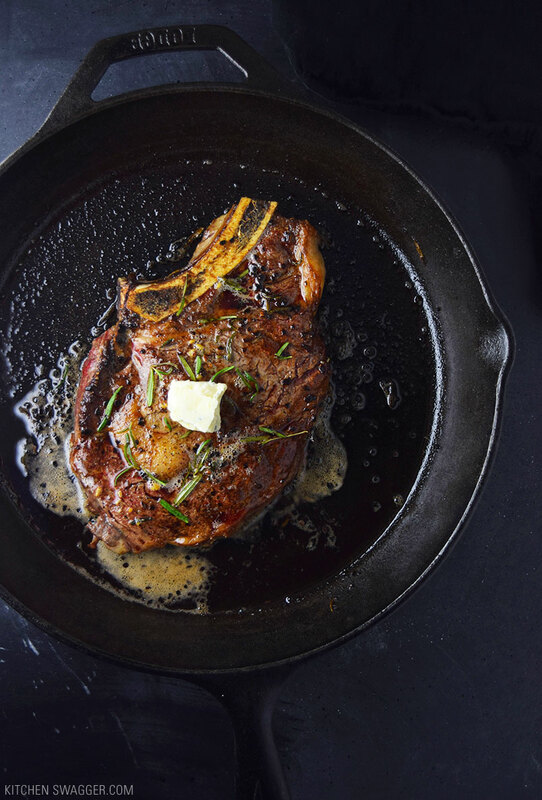 That steak looks amazing. Happy anniversary to you and that “darling” hubby of yours on 35 years together. You are quite the team!